BelarusDigest > Economy > The reduction of oil dotations from Russia: a catastrophe for Belarus? 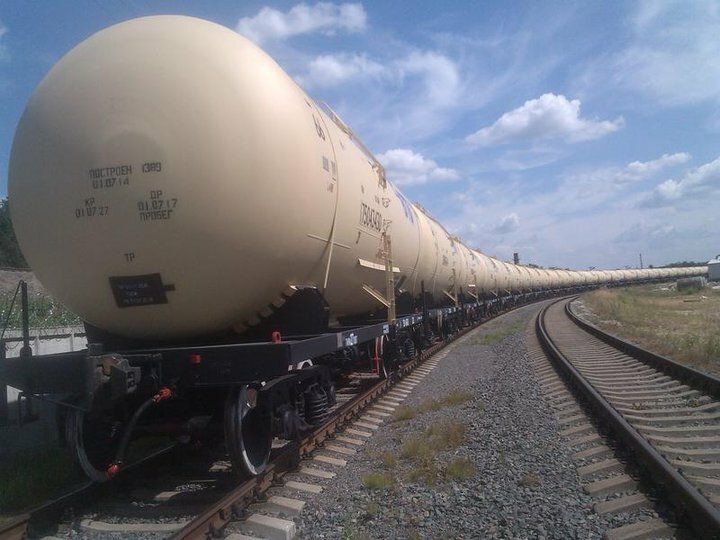 On 12 April, tut.by reported that Belarus has pushed for an urgent modernization of it chief refineries in Navapolatsk and Mazyr to minimize the losses from the reduction of Russian oil dotations via the ‘tax manoeuvre’. However, if Russia reduces oil dotations in 2019, catastrophic consequences should not follow for Belarus. Belarus will disagree to concede to Russia in the questions of real integration, as Moscow means it: creating common customs, unification of currencies, creating a common visa space, and deployment of Russian military bases. 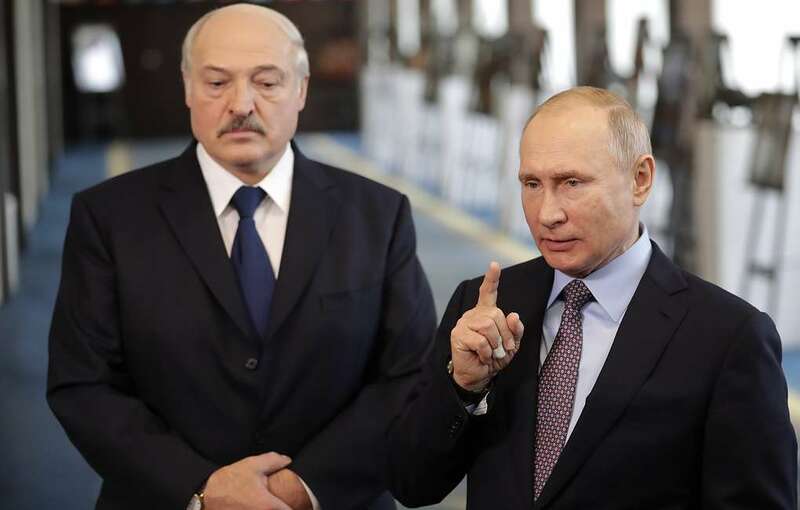 Alexander Lukashenka and Vladimir Putin still negotiate about compensating Belarus for Russia’s latest oil tax reform. The Russian “tax manoeuvre” foresees a decrease in export duties on oil and an increase in tax on the extraction of natural resources. 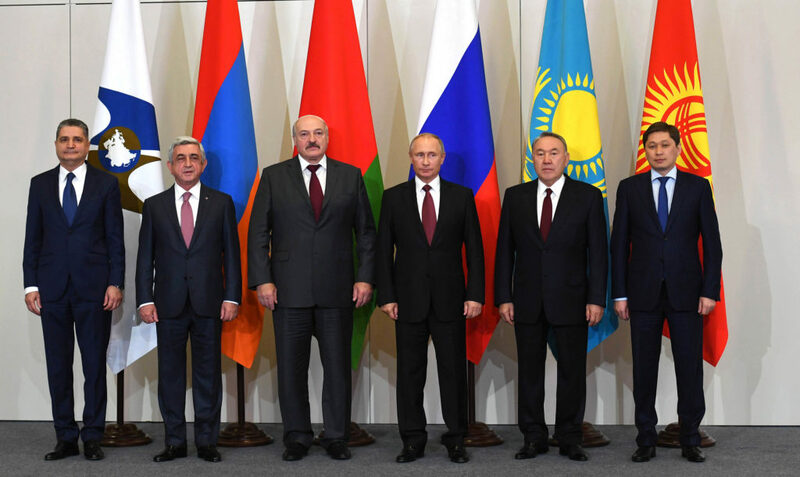 So far, Belarus possesses several options to compensate over the ‘tax manoeuvre’, including borrowing from international organisations and curtailing the work of EAEU (Eurasian Economic Union) – an intergovernmental organization particularly important for the Russia leadership. Hence, Russia’s options to force Belarus into closer integration remain rather limited. How much oil dotations did Belarus receive from Russia in the past? According to the data of the Russian side (Putin and Medvedev mention these figures when they talk of supporting Belarus), since 2005, through cheap supplies of oil and gas, Belarus received from Russia dotations amounting approximately 100 billion USD. According to the data of Russian experts (for example, of S.Agibalov, the chief expert of the Russian Institute of Energetics and Finances) after 2014 Russia reduced oil and gas dotations to 4 billion USD a year: around 2 billion USD from the supplies of cheap oil, and around 2 billion USD from cheap gas supplies. Deliveries of oil products comprised up to 40 per cent of the Belarusian export (in USD), in recent years – over 30 per cent. Belarus refined the Russian oil at its factories (Navapolatsk and Mazyr oil refineries) and sold oil products at the international market at market price. Currently, the sides are negotiating compensations for the losses to the Belarusian budget, resulting from this “tax manoeuvre” in Russia (which led to the reduction of duty-free supplies of oil). The Russian side suggests that Russia will pay the oil dotations at the end of each year if common customs is created, and if currencies are unified (the Russian ruble serving as a currency in the territory of Belarus). Namely, if Belarus takes the first steps to lose sovereignty. Arguments over the ‘tax manoeuvre’, a break-through in 2019? It is likely that in 2019 the sides will not come to an agreement concerning the full resumption of oil dotations. According to Belarusian estimates, in case of curtailment of oil dotations, in 2019 the Belarusian budget will lose around 400 million USD (with the price 70 USD per barrel). In 2017, Belarus got from Russia around 24 million tons of oil. 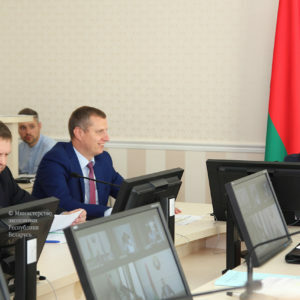 However, the balance surplus in the foreign trade of Belarus comprised only 63.2 million USD. Reduction of oil dotations in 2019 will affect negatively the GDP of Belarus (in 2017, it grew by 2.4 per cent, in 2018 it grew by 3 per cent). 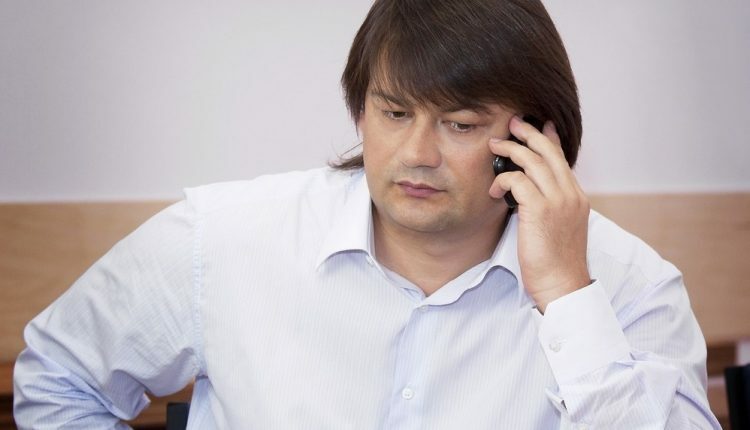 In November 2018, the Belarusian Minister of Finances Maksim Yermalovich claimed that the curtailment of oil dotations would not bring significant negative consequences. Belarus could compensate the losses by drawing a loan from international financial organizations (in particular, in September 2018 Belarus resumed talks with the IMF on obtaining a credit). Will Belarus obtain loans from international organisations? As it follows from statements of top Belarusian officials, since the annexation of the Crimea by Russia and the start of the war in the east of Ukraine, Belarus has good opportunities to draw loans from international financial organizations at profitable terms. Unless the credits are obtained, Belarus has three variants of compensation for the losses from the reduction of oil dotations from Russia. The first one is by decreasing gold and foreign currency reserves (as of January 1, 2019, the gold and foreign currency reserves of Belarus comprised 7 billion 157 million). The second one is decreasing imports or, which is harder to implement without structural reforms, increasing exports. The third variant is cutting down on social expenses from the budget and reducing (or halting) support to unprofitable state enterprises. For example, in December 2018 allowances for free medical substances were cut. A combination of these variants can be implemented. In case Belarus declines to make concessions regarding real integration, as Moscow sees it, it is highly unlikely that Russia will increase the price for gas and, by doing so, will also stop gas dotations. The preferential price for gas for Belarus was envisaged by the agreement on selling the Belarusian gas transportation enterprise Beltrasgaz to the Russian company Gasprom at the end of 2011. In 2019, Belarus pays 129 USD for one thousand cubic meters of gas. 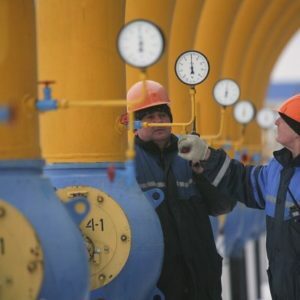 Representatives of the Belarusian government had claimed that receiving cheap gas was a condition for Belarus’s participation in the Eurasian Economic Union. For Russia, the existence of this intergovernmental organization and participation of Belarus in it is important. Besides, Lukashenko uses Belarusian participation in the EAEU as an argument for receiving also oil dotations from Russia. There is some probability that negotiations in 2019 will come to reaching an agreement on continuing duty-free supplies of Russian oil without any concessions from the Belarusian side. In conclusion, despite the fruitless talks and mutual threats between Minsk and Moscow, Belarus’s bargaining position remains rather strong. 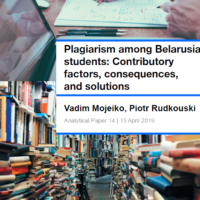 To compensate the losses from the ‘tax manoevre’, Belarus might borrow from international organisation, reduce social expenses, and threaten to quit the Eurasian Economic Union – an organization of a strategic importance for Russia.